Note the two bridges over the river. The one on the right was built to railroad specs, but was never used by the railroad. One version of the story says the bridge wasn't built strong enough to handle the loads. Another story says the chances of rockslides just upgrade of the bridge was the cause for it not to be used by rail. You can follow the grade up from the bridge along the base of the big hill behind the town and you will come to where the tunnel is. 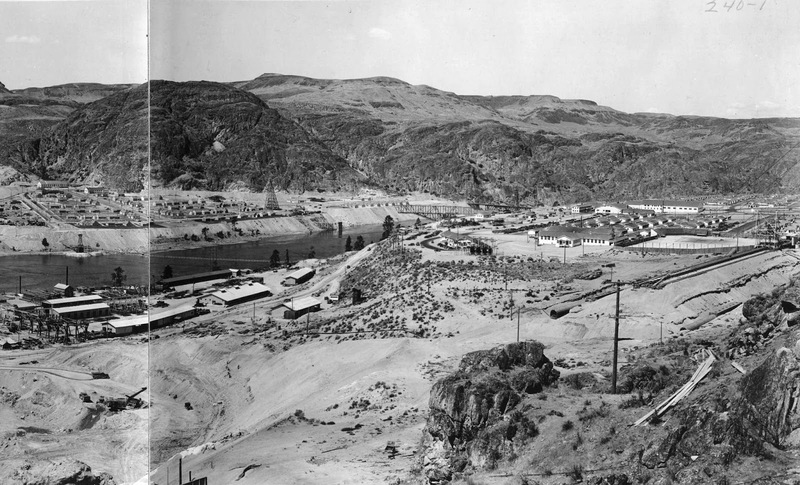 The building on the left at the base of the hill is still there today too, as the Coulee Dam city hall.